The Wii is a great system for both old and new games. I’ve used the Wii’s Virtual Console to play many classic games and I think almost every retro-gamer could benefit from it. For example, let’s say you’re not the biggest fan of Genesis games, but you want to play the original Sonic games. You could buy a Genesis system, an RGB cable and the games, or you could just buy them on the Wii’s Virtual Console. Also, playing WiiWare games like A Cave Story, Mega Man 9 & 10 and Sonic 4 on an RGB monitor is amazing. You end up with the look and feel of an awesome classic game, but it’s brand new with updated graphics. Wii Dual – HDMI Kit! There’s a new kit that outputs a true HDMI signal from your Wii! It also upgrades the output of the component video signal AND ads RGB output in all resolutions!!! Aurelio on the BitBuilt forums has figured out a way to get a true VGA signal from the Wii!! This requires a softmod, as well as a hardware mod to connect RGBHV to the AVE-RVL chip. I haven’t tested this personally yet, but it looks like a great solution for people who require VGA! I wanted to compare the Wii to the classic game systems. Doing the comparison on a modern TV isn’t fair, as the Wii outputs in a higher resolution…so I decided to compare the systems on an RGB monitor, so it’s the Wii vs. the classic consoles and their native original output. This page describes ways to use controllers from classic game systems on your Gamecube, Wii and Wii U. This page provides basic info and links about softmodding your Wii and Wii U. As an FYI, the analog output from a Wii Dual will look better than any model Wii’s original output. 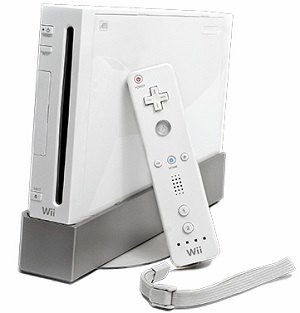 – The Wii is an awesome tool for playing retro games. If you really love a classic game, the Virtual Console will never be a true replacement, but if you’re a casual retro gamer (even for just specific games), it’s a perfect way to experience the older games in high quality. – Big fans of the Wii should get a Wii Dual. It might not make as much of a difference for casual fans, but professional streamers and perfectionists will love it!!! – NTSC Wii’s (US, etc) should stick with component video output. – PAL Wii’s (UK, etc) should chose whatever their TV or monitor supports: If it supports 480p, use component. If it only supports component via 480i, stick with RGB.